Old sweaters is something that I think everyone has stuffed in their closet or dresser. The question is, what do you do with them? The answer is..... ALOT!!! 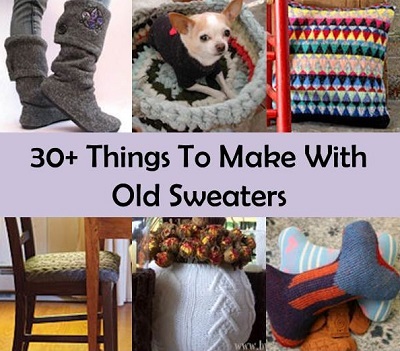 Here is a fantastic list of 30+ Things To Make With Old Sweaters. There is something for everyone in this list. Have a look through as I am sure you are going to find something that you will want to make.